The fetid swamp air hung like a lazy blanket over the land of Tarak's Spit. Alligators slept on logs, still alert, merely waiting for their next meal. The next meal may be soon. A female figure strode through the swamp. The preceding months had taken their toll on her. Betrayed by her own townsfolk, she was left to die in the caverns of Shartak, but Rachel Stone wasn't the type to take things laying down, no, she fought her own way back out, tooth and nail. She had emerged from a nearby cave dirty, covered in spider venom, fungi slime and rat blood. Her first glimpse of the sun in months practically blinded her. And the smell of the swamp was welcomed from the dry dead smell of the caverns. Filthly, covered in various blood and smell, even the alligators were put off. None of them moved as she walked by. Maybe it was the spider venom, maybe it was the joy of being freed from the caves, but Rachel Stone walked farther into the swamp, away from the welcoming sea and relative safety of the nearby grasslands, and deeper into the the Tarak. She saw alligators that looked meaner, hungrier for human flesh. Even these parted before her, and in the center of the swamp, a giant white alligator rested on a stump. The air around it sparkled, and Rachel knew this was no ordinary beast. This was her spirit totem. In this flash of insight, she remembered stories from the lips of villagers when she was a child. About Ancients, about totems, about life itself, and how culture is more important than actions. Then the outsider came, with his guns, and his boxes, and his sharp curved steel, and changed their culture. Ever so slightly, but still, the culture changed. Rachel felt saddened by this, and curled up next to the white alligator, and feel asleep. But, like the other alligators in the swamp, she wasn't truly asleep, and as one of these hungrier, meaner alligators came over to kill her, she struck quickly, her sharp blades cutting the alligator's head off. Grabbing the severed head, she walked out of the swamp, the other alligators stayed out of her way. Some would snap at her passing, and she would strike back with the blade, and they would steer clear. Cleaned off by the lake water, new clothes bought from a traveling native trader, and the alligator head strung to her back, a headdress to go along with her teachings, Rachel set up camp in front of Tarak's Spit. She is here to spread a simple message, Natives, Remember Yourselves and Your History. Remember Your Culture. This clan is open to any natives, from any town and any walk of life. The goal of the clan is to embrace ancient native ways, recover old native learnings, and use this knowledge to retake the island as theirs. For this reason any native is welcome, be they a warrior, diplomat or shaman. Every native has a place in the Tribe, and every native is welcome. Much of the meetings of the Tribe will occur at Tarak's Spit. This place is a swamp located to the east of Wiksik, and north of Derby, and south of Rakmogak. This place is crawling with alligators, so it is vital that members bring along healing herbs to protect themselves. 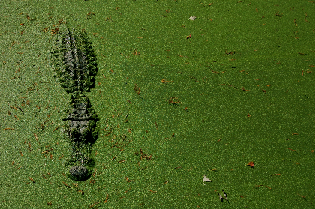 Image off the ubermap of the swamp. Much of the forgotten lore deals with animal totems. Here is the list of totems discovered so far and by whom. This page was last edited on 11 September 2011, at 13:35.